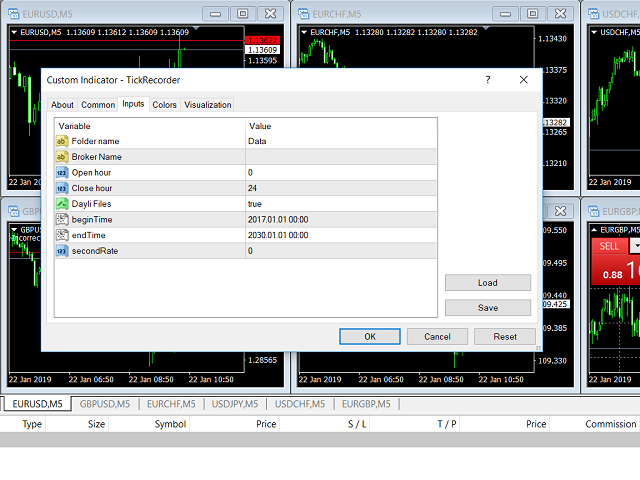 This indicator will download all price ticks from a symbol and store it in a CSV (Excel) file. The indicator saves time, bid and ask for the selected symbol. You can name the file the way you want so you can use it easier, save the ticks of a predefined period and also choose the frequency of ticks. You can choose if the data will be split into daily files or to store several days in a single file.